There are very few components that cross over from archiving/professional to high-end audio. The most used cartridge by archivers and restorers is probably the Stanton 500. Yet, you rarely find anyone “serious” about audio using them in a high-end system. A similar line in the sand applies to the turntables used by DJs and archivists. 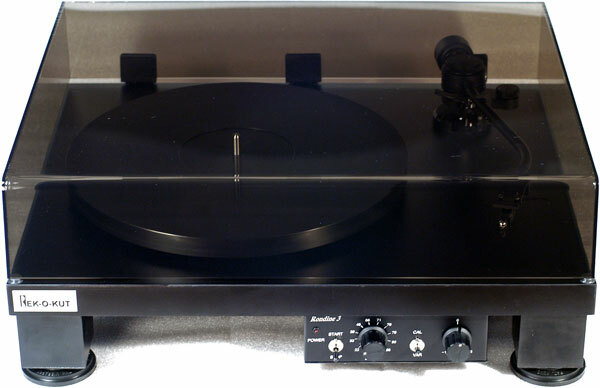 The ubiquitous Technics 1200 series turntable is among the most used and most produced turntable in history. The 1200 might be the highest volume audio component ever produced when you consider the models modified for archivists, those used by turntablists, by radio stations, and by home users. Yet, it doesn’t quite make it as a serious audio component. Its arm has too much resonance; the combination of ringing platter and ineffective mat imparts a forward harshness to the upper midrange. The power supply is poorly shielded and the bearings of all models are mediocre. Granted, it’s much better than the travesties being sold at Best Buy. For a professional restorer or serious collector, the problems that mar the sound of the Technics 1200 are compounded by its inability to accept large transcription disks. The archivists doing transfers at the Library of Congress are using a specially modified Simon Yorke table, which combines the needed flexibility with state-of-the-art sound, but is priced out of range of most users. For record collectors who are into shellac, and who want great sound, the choice had always been a used Garrard 301 or Thorens TD124. However, they are getting quite expensive and hard to find. Also, most of those old players need work and a better plinth, which can add hundreds, even thousands to the cost. There exists a market of collectors of all forms of gramophone records from shellac to modern reissues, and I have a few friends that fit that description. When they ask me to recommend a turntable, the lack of versatility of current models leads to more questions than answers. Mostly, these friends wind up with a Rega and a junky Dual that plays ‘78s. Even with both tables, you still don’t have the ability to quickly change cartridges and won’t be able to play the large transcription disks. Besides, those Duals that play the 78’s are dogs; most I’ve seen don’t work, and the ones that did work sounded pathetic. The garden variety Rega is fine if you are going to use one cartridge and listen only to audiophile reissues, but something more flexible is needed for the audiophile collector. The arm must be massive enough to make the most of a wide range of “classic” cartridges, while light enough to work with good quality, modern, medium-compliance cartridges. The arm must have the classic SME-style headshell. Good audiophile playback is possible if quality headshells and cartridge wires are purchased. The tonearm must allow VTA adjustment. The arm length and positioning on the plinth must allow for the playback of 16” transcription disks. There are bigger disks, but there weren’t many made, and even fewer survived. If a 10” 78 is easy to break, a 16” (or larger) is several times easier to damage. The platter must be well damped. If you think a glass, metal or acrylic turntable platter is bright, just imagine the rattling and ringing when playing back a lateral-cut 78 at 6 grams. 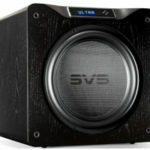 The different playback speeds must be accomplished gracefully without introducing noise, cogging, hum, chatter, etc.. To keep the player affordable and trouble free, the more exotic stepped pulley arrangements should be avoided. The main bearing should be of high quality. The rest of the machine should be of solid build quality (plinth, sub-chassis, feet, legs, etc..). My list might be missing a few things, but I hope you get the idea. Record Kut? Wreck-o-kut? What’s in a name? For those of you who have made several trips around the audio block, the name Rek-O-Kut should be familiar. In the 40’s, 50’s and 60’s, Rek-O-Kut, along with Russco, Empire, and a couple others I can’t remember, made thousands of turntables for studios, radio stations and high-end audio installs. The Rek-O-Kut name came from the days when they made lathes called disc recorders or recording turntables or disk-cutting machine. What’s interesting with the old Rek-O-Kut players is that they tried multiple drive techniques, like belt-drive, rim-drive and continuously variable speed turntables. Rek-O-Kut went out of business in the ‘60s or‘70s and the name was licensed by Esoteric Sound in the ‘80s for their line of modified turntables for playing at different speeds. In spirit, the old and new products are the same: flexible players with no nonsense. The first thing that impressed me about the turntable package was the meaty 10” tonearm with detachable headshell. I don’t know for sure who makes it, but it definitely looks and feels Japanese OEM. That’s not a bad thing, either. I’ve owned and used several Jelco OEM arms and all were excellent. This example conforms to my idea of a versatile arm that is equally at home with archivists, collectors and audiophiles. It has the needed clearance for big disks, the necessary mass for low compliance cartridges, and it has the SME style detachable headshell for quick cartridge swapping. With suitable headshells, ones that allow adjustment of the overhang, you can quickly swap from modern moving coil to GE VR, only stopping to reset the tracking force. Admittedly, you will need to adjust the VTA for optimum tracking, but in practice the adjustments were quick. There are a variety of cartridges that are similar in height, though the VTF setting will make them ride lower or higher when compared to other similarly dimensioned cartridges. Some folks use shims and headshell weights to help set a constant VTA and VTF, so that swapping cartridges is quick and hassle free. However, that can compromise the sound. The Rondine 3’s cueing was smooth and predictable and the bearings were very “free” feeling. I could find nothing to criticize, especially for an arm in a $1,300 package. This arm comes with an excellent, very rigid and quiet, magnesium headshell that murders the cheesy light-weight headshells, especially the ones that have all the tiny holes drilled to lower mass. The platter, made of Delrin, was quiet, producing a dull “thunk” instead of the “tic”, “toc” or “doinnnggg” of many other platters. I did find that the sound was significantly better with my Rudolf Bruil Universal RSR periphery clamp and Monster Cable collet clamp. Forcing the record to the surface of the platter helped to drain needle talk and vinyl noise into the platter, improving detail, bass, distortion, imaging and tracking. Pretty much everything improved; can’t think of anything that didn’t. In general, this style of platter is more neutral than acrylic or metal. As motors go, this one is good though not great. At times I thought my 6-gram tracking Fairchild 215A mono cartridge was able to slow the platter on 33 rpm records. On 45rpm singles I didn’t hear it. It’s possible that at 45rpm, the extra flywheel effect cancels cartridge drag, though at 78 rpm, the platter has roughly 5.6 times as much energy as at 33 rpm. I was told near the end of my review that Esoteric Sound is investigating a more powerful motor. If you are tracking heavy at 45 and 78, you won’t need it. If you are tracking at 3 grams or lower at 33 rpm, you won’t need it. This was a very subtle thing, so don’t interpret this observation as meaning it had severe speed regulation problems. Very early on, I heard some belt-whine that was part of the breaking in process. The whine gradually went away with hours of play. The only thing that I felt could be significantly improved was the MDF plinth. It’s good at damping the motor, but not at isolation. Even with the included Vibrapod damping feet, I had issues with my system’s wooden shelves. I was able to ameliorate the issue with a piece of bamboo plywood and sorbothane feet. With a more rigid set of shelves, such as very thick wood or acrylic, there wouldn’t be as much of an issue. My other turntables either have spring suspensions or massive amounts of mass. This is a torture test for tables: wooden shelves with speakers only three feet off. If your turntable stand is well away from your speakers, you might not have an issue. I experimented with some brass weights and this also improved damping/isolation. It Slices, It Dices, It Juliennes Fries! Since the purpose of this package is versatility, I started pulling out old cartridges and difficult records. With the Miyajima Shilabe, the combo produced sound with more presence than anything else I’ve heard in my system. I had tried the Shilabe on low mass arms and those pairings weren’t successful. The Shilabe responded to the extra mass of the Rondine 3’s arm by producing a vivid center image, significantly further forward than the Haniwa cartridge. Dynamics with this combo were good, and attacks were clean. Besides great imaging, the color palate was vivid, making my usual analog combo sound a tad boring by comparison. Associated phono stages were the Allnic, modified Jasmine and the new Einstein phono stage. Switching to my various Shures, I found that the V15iii didn’t necessarily like the mass of the Rondine’s arm. Bass was weighty, almost explosive on some disks, but small vinyl imperfections, warps and off-center pressings would occasionally scare the crap out of me by producing huge ultrasonic garbage. Luckily it didn’t hurt the amps or speakers. The M91ED and R1000EDT (OEM M75 for RS) were better matches, though on paper their specs are pretty close to the V15iii. The sound was less detailed than the V15iii and had a darker quality. This particular combo was great on pop records (cruddy vinyl from the ‘60s-80s). Tics, pops and other imperfections were less audible, allowing enjoyment of less-than-perfect pressings. It’s good to have a combo like this around. There are more bad pressings than good, and not all great music is available as an audiophile reissue. I briefly switched phono stages to my junk-drawer-special, a Radio Shack transistor unit, made in Japan in the ‘70s. I recapped it with premium audiophile electrolytics, and increase the power supply capacitors. I’ll write about my junk drawer experiments in the future. This cheap transistor unit was a great match for the Shures, for some reason. I enjoyed a musical bath like the old days of classic audio, but with better detail and less distortion. The M91ED and hot-rodded Radio Shack phono stage would add anywhere from $50 to $200 to the cost of the turntable and deliver musical satisfaction for many. 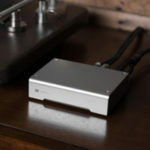 To be honest, this little phono stage is similar in concept to hyper-pure stages with just four devices and no op-amps. So even though it’s not a giant-killer, it’s a good unit to modify. If you can solder and don’t mind trolling eBay, look for the Shures that are the “ED” cartridges, which use medium-high compliance suspensions with elliptical tips and thin-walled cantilevers. The original styli were made of excellent materials and can track circles around many high-end moving coils. It’s all a matter of taste, and fashion. By the way, I prefer these ‘70s cartridges to the V15iv, V15v, etc.., which always sounded a little artificial to me. The forte of the Rondine 3 will be playing back mono records, and my experiments with the Fairchild 215A and Denon DL102 were instructive. Both are moving coils, but are quite different designs. In this particular combo, the Fairchild trounced the Denon in subjective musical terms, though the Denon tracked better. The Fairchild produced some vividly real music from my scratched and worn mono records. It sounded more alive and more in-the-room than any mono combination I’ve had in the house. With all cartridge and phono stage combinations, bass was authoritative, though softened at the leading edge and a little warm compared to absolutely neutral. Presence in the midrange was great. It reminded me that the efforts to dampen vibration can rob the music of life. It presented a stark contrast to the SME V and Denon DP80 with the compliant mat I use on the platter. Which sound is correct is a matter of taste. I bet the SE-DHT and horn crowd would appreciate the directness of the Rondine. I never had issues with electronic noise. Going from a direct drive to the Rondine 3 exposed one of the problems with direct drive, which is the electrical noise generated and radiated by all those circuits only inches away from the cartridge. The speed stability of the Rek-O-Kut is better than most belt drives I’ve used. This probably is due to the absence of a spring suspended sub-chassis of many classic belt-drive designs. I heard no obvious difference between the speed stability of the Rondine and my Denon DP80, though the Denon is more of a toe-tapper. Some things are so subtle that you can’t put a finger on what it is exactly that is different, but it is different. There are penalties when using MDF for a plinth and a tonearm with detachable headshell. Compared to an optimized high-end table without detachable headshell and with a more solid plinth, the attacks were slightly blunted and microdynamics smoothed over. When listening at high volumes, the MDF plinth would sing along, producing a lightly wooden or fat sound. Careful placement and some tweaking with various feet and weights will go a long way to eliminating the issue. So, is the Rek-O-Kut Rondine 3 a turntable that can make most people happy? 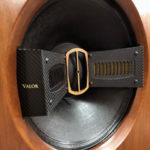 Absolutely it can, but with the proviso that you avoid extremely high compliance cartridges and go the extra mile to isolate the player from acoustic feedback. Except for the feedback issue, my listening experience was a pleasure. With the Miyajima Shilabe and Einstein phono stage, along with several other fine pieces, the sound was better than many packages at three or four times the price. With my junk-drawer-special phono stage and cheap Shure cartridges, the sound was warm, laid-back and enjoyable. The former combination was quite accurate and detailed. The latter combination was more of an easy listening experience, like drinking a bunch of scotch before sitting down to listen. The Rondine 3, devoid of hype and bling, does quite a job of serving two masters. This turntable’s flexibility makes almost any phonograph record playable; the arm works with a wide array of cartridges. It spins records at the correct speed and with no audible noise. Speed changes are a breeze. The platter is well above average in controlling vinyl noise and needle talk. Cartridge changes are easy. The tonearm is a fantastic bargain, and the whole package is very affordable. If you have to choose between a $1,300 cartridge and a $3,000 arm/table combination, or a $3,000 cartridge and a $1,300 turntable, I recommend you go with the second option. I heard the relative strengths and weaknesses between the various cartridges I played. Add a periphery clamp like Rudolf Bruil’s RSR (highly recommended with this platter), and a reflex clamp, and you will be able to shock some of your well-heeled audiophile friends. Highly recommended for anyone with a big collection and multiple cartridges. I have a Rondine “spelled RONDINE 3 turntable. I was told I need a separate preamp between the turntable and my existing B&K Components preamp. That’s two preamps to make the system function. Is this true as I don’t get any sound when using the B&K alone. Thanks, Bill. Yes, you definitely need a phono stage. 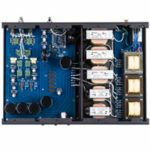 Buy the $100 phono stage from the same company. It’s a bargain at that price. If you have a moving magnet, then buy the regular version. If you have a low output moving coil, you need the one that has extra gain. What cartridges are you using?